The game is built around the idea of creating large structures using balls of goo. The game is divided into five chapters, each containing several levels. Each level has its own graphic and musical theme, giving it unique atmosphere, similar in style to Tim Burton's film designs. 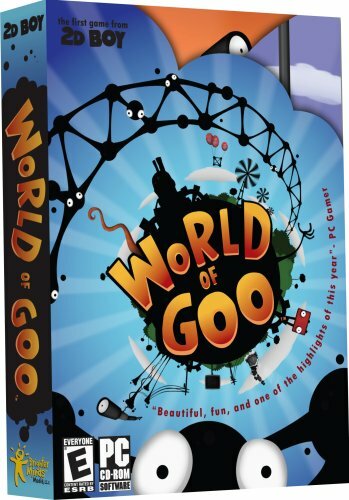 There is also a bonus meta-game called World of Goo Corporation, where the objective is to build the highest tower usin... See moreg goo balls which the player collected through the course of the game. Players from all over the world can compete, as the height of the tower and number of goo balls used are being constantly uploaded to the 2D Boy server.